Sometimes I think it’s best to only see movies at home so the reactions of others don’t influence me. A favorite example of this occurred when I took in Home Alone back in 1990, as the audience went so wild that I grew to loathe the movie. I couldn’t understand why they found the cheap slapstick to be so incredibly amusing, but I wouldn’t have been so hard on it if I’d not encountered their hysterics. The same issue may have affected my opinion of 2005’s Hitch, though I can’t blame a large group of viewers for my disenchantment. I saw Hitch as part of a third date. The woman in question really liked the movie. It made her laugh almost constantly, but that wasn’t what got to me. Instead, I became annoyed because whenever anything even vaguely outrageous occurred - usually various slapstick accidents and miscalculations - she’d exclaim “oh no!” By about the tenth “oh no”, I really started to dislike the woman. By about the 50th, I wanted to shoot myself in the head. There was no fourth date. Even without my annoying date by my side, I can’t say I cared a whole lot for Hitch, as my second screening didn’t make it look any better. 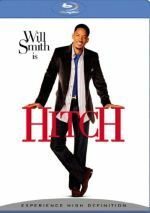 The film introduces us to Alex “Hitch” Hitchins (Will Smith), a Manhattan “date doctor”. He helps guys live up to their potential and overcome their own foibles to connect with the women of their dreams. Hitch doesn’t muster much romantic hope for himself, though, as he remains jaded due to past experiences. That starts to change when he meets similarly cynical gossip reporter Sara Melas (Eva Mendes). Hitch intrigues her when he approaches her at a bar and he soon romances her. However, the usually-slick “date doctor” makes a number of miscues that create more of a challenge for himself. In the meantime, Hitch works with Albert Brennaman (Kevin James), a tubby introverted accountant with his eye on the prize: wealthy socialite babe Allegra Cole (Amber Valetta). She seems absolutely out of Albert’s league, but Hitch works with his client to get him in the door. The movie follows the dual romances along with the inevitable pitfalls that pop up along the way. Although my date disagreed, I found Hitch to be tedious and to lack much entertainment value. This shouldn’t have been the case. On the surface, the flick should have been a winner. For one, it includes a strong cast, and Hitch is the kind of part that Smith should be able to play in his sleep. Smith is one of the world’s most naturally charismatic people, and Hitch seems like a perfect part for him. Unfortunately, I think Smith did play Hitch in his sleep. The actor lacks much verve in the role, and he leaves little impression. Maybe Smith wanted to give the part more depth and not just to be the superficial charmer, but it doesn’t work. Hitch doesn’t do much to intrigue or amuse us, as he seems like a bland nobody. Smith and Mendes look great together, as both are very attractive people. That doesn’t result in much chemistry, unfortunately, and their romantic scenes fail to ignite. It’s hard to take the parts between James and Valetta all that seriously either, just because it always remains tough to accept her with him. That’s not because she’s so much more attractive; honestly, she’s not that stunning, and he’s a decent looking guy once you get past his weight. The problem stems from James’ goofy portrayal of Albert. 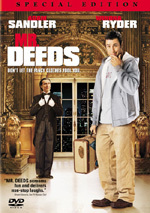 He consistently plays the role in a cartoony manner that accentuates the comedy but undercuts the drama and romance. The sight of his pudgy puss as he puckers up for a kiss made it awfully difficult to believe any woman would do anything other than laugh or run away in fear. When I read reviews of Hitch, I saw that James got a lot of praise for his performance, but honestly, I can’t figure out why. Maybe I’m just not a fan of his loose-limbed physical comedy, but his work here leaves me cold. I continually expected to find some hilarity that never came. It doesn’t help that at 118 minutes, Hitch is awfully long for a romantic comedy. I’d expect a movie like this to clock in at maybe 100 minutes, and this one wears out its welcome well before it ends. The flabby direction makes the running time seem even longer than it is. Director Andy Tennant never reigns in the action or creates a concise narrative. Instead, the movie rambles and meanders its way from start to finish. There’s no real through-line on display, as the tale jumps from one focus to another with little logic or clarity. This means it plods when it should zip. Speaking of the plot, Hitch suffers from too many illogical conceits, and the main offender comes from the wholly unnecessary character called Vance Munson (Jeffrey Donovan). Early in the flick, he meets with Hitch because he wants the date doctor to help him score with a certain chick. An insulted Hitch refuses, as he’s not there just to get guys into women’s pants; he’s there to facilitate love. This comes back to haunt Hitch. Vance indeed beds his target (Julie Ann Emery) who - in a shocking coincidence - turns out to be Sara’s best friend! As she traces the legendary “date doctor” to our lead character, she assumes Hitch is nothing more than a glorified pimp. In truth, the movie should have named Vance “Plot Device”, for that’s all he is - and he’s an illogical plot device too. A guy as arrogant as Vance wouldn’t care enough to pursue someone like Casey that heartily, and he also seems extremely unlikely to admit that he needs the help of someone like Hitch; he’s totally full of himself and would never seek the advice of others. So why is Vance in the movie? In the expository vein, he lets Hitch tell us that he’s not a glorified pimp, and in a plot sense, he acts to prompt the problems that occur in the third act. However, the movie doesn’t need him. Sara easily could have found out about Hitch’s job via other means, and both she and Allegra didn’t need for their respective lovers to seem so sleazy to make the climactic conflicts work. But Hitch is filled with all sorts of clumsiness that it doesn’t require. A more competent film would have left threads like Vance on the cutting room floor, whereas Hitch keeps too much dross. This means Hitch winds up as an excessively long movie with little charm or humor to maintain our attention. Hitch appears in an aspect ratio of approximately 2.35:1 on this Blu-ray Disc. One of the very first Blu-rays ever produced, the image wasn’t great, but it held up better than I expected. My only complaint related to sharpness, as the movie occasionally looked a little soft. Those instances didn’t pop up with great frequency or intensity, as most of the flick appeared reasonably distinctive. However, just enough of the film came across as slightly undefined to knock my grade down a bit. No issues with jagged edges or shimmering occurred, and both edge haloes and print flaws were minor. For the most part, Hitch stayed with a warm, amber palette. Actually, the colors came across as just a wee bit pale, largely because the film used a diffuse, slightly blown out look to give it a gentle “fairy tale” air. The hues remained more than acceptable and often appeared quite rich and full. Blacks showed good intensity and clarity, and low-light shots offered solid delineation. All of this was good enough for a “B”. With a romantic comedy like Hitch, I expected a pretty low-key “comedy mix”. For the most part, the uncompressed PCM 5.1 soundtrack delivered that kind of audio, though it opened up a bit more than I anticipated. The movie featured enough “big” scenes to make good use of all five speakers. Street sequences, parties and a basketball game all ensured that we’d fine some nice atmospheric material, and the soundscape managed to give us a seamless and smooth impression of our surroundings. Music added good stereo definition and some support from the rears to make Hitch a fairly involving mix. Audio quality usually followed those lines, though some edgy speech caused a few problems. Most of the lines sounded natural and concise, but more than a few displayed more brittleness than I expected. Effects never called much attention to themselves. They remained in the background most of the time, but they appeared accurate and clean. Music fared best, as the mix of songs and score sounded smooth and lively. Bass response usually came through via the music, and the low-end was warm and rich. I almost gave the audio of Hitch a “B+”, but the edginess forced me to go with a “B”. Still, it worked better than I anticipated. Despite the film’s big success at the box office, the disc comes with a fairly modest collection of supplements. To my surprise, no audio commentary appears. Director Andy Tennant offered commentaries for his earlier flicks, so why not this one? In any case, we open with a three-minute and 48-second Gag Reel. Should you expect much more than the usual goofs and silliness? Not really, though a few funny improvisations appear, such as when Smith does a really lame take on the scene in which he first hits on Sara. Short and sweet, this is a better than average blooper collection. Next we get two separate featurettes. Dance Steps Made Easy fills eight minutes and 17 seconds as it presents a mix of movie clips, shots from the set, and comments from Tennant and actors Will Smith and Kevin James, We watch the shooting of the movie’s “dance tutorial” scene and hear a little about how its creation. The notes don’t add a whole lot, as they remain pretty generic, but we get some fun views of the various takes. Those make this a winning little piece. Up next we get the 11-minute and 22-second The Dating Experts. This offers statements from Smith, Tennant, on-set consultant Dr. Georgia Witkin, 8minutedating.com president Tom Jaffee, “life coach” Breck Costin, VIP Life president Lisa Clampitt, wingwomen.com president Shane Forbes, and Stop Getting Dumped author Lisa Daily. The featurette looks at attempts to ensure character realism in the movie. We learn how they worked through things to depict accurate male and female tendencies and responses. The “experts” also discuss the film’s “Hitchisms” and their qualities. This creates a reasonably interesting dissection of the horrors of dating. Under Previews, we find ads for Into the Blue, SWAT, and Underworld: Evolution. No trailer for Hitch comes on this disc. A definite case of squandered potential, Hitch misuses a strong cast and clever concept. Instead, it does little more than follow predictable story paths and tells them in a clumsy manner that bores us. The Blu-ray delivers generally good picture and audio along with a minor set of supplements. This ends up as a decent release for a forgettable movie.